A billionaire venture capitalist from Cardiff has claimed the title of Wales' richest man. The annual Sunday Times rich list has named Michael Moritz as Wales' richest individual, taking over from Sir Terry Matthews, 2004's wealthiest man. Mr Moritz made much of his £1,350m fortune after investing in internet search engines Google and Yahoo! Twenty-one people or families from Wales feature in the 1,000-strong rich list. Mr Moritz was brought up in Cardiff but is now based in California's Silicon Valley, where he is a partner in investments firm Sequoia Capital. He enters the Sunday Times list for the first time after earning up to £800m when Google floated on the stock market last year. Mr Moritz had provided finance for Google in the company's early stages and was made a director of the company. As well as making him Wales' richest man, his financial gains from the Google flotation have seen him become the 24th richest man in the UK, according to the Sunday Times list. Philip Beresford, who compiled the Sunday Times list, said his company's investment had allowed Mr Moritz to make much of his personal wealth. He added: "It has a chunk (in Google) that, when we did our valuations in January/February, was worth £2.7bn. "That is as a result of Michael Moritz putting in £12m of their (Sequoia's) money into Google in 1999 and turning into £2.7bn. "He probably is the greatest financial wizard in the modern world. "It shows that if you are hungry enough for success, get a good education, and then really go for it, the sky's the limit." 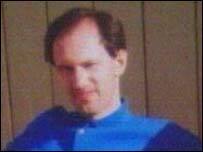 Mr Moritz was brought up in the Penylan area of Cardiff, where his mother still lives. Mr Moritz, who also owns property worth £50m, ousted fellow Welsh billionaire Sir Terry Matthews from his place at the top of the Wales rich list. But Sir Terry's fortune increased from £1,110m in 2004 to £1,300m this year, seeing him rise up the UK list from 29th to equal 25th richest person. Sir Terry made his fortune in telecommunications, but has invested in the £600m Celtic Manor resort in his home town of Newport, where golf's Ryder Cup will be held in 2010. List compiler Mr Beresford said Sir Terry's investment in the Ryder Cup would help secure his place in the list. He added: "He's doing fine. He's getting Celtic Manor ready for the Ryder Cup in a big way and all his other investments that he's made in the last four or five years are all coming good as well. "When he kicks off the Ryder Cup, he's going to be sitting very pretty." Wales richest entertainers remain singer Tom Jones and actors Catherine Zeta Jones and Sir Anthony Hopkins. 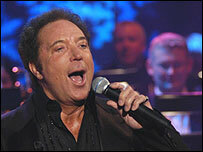 Earnings from tours and royalties have allowed Jones to amass £175m. Wales' richest woman Catherine Zeta Jones can now command £5m a movie, helping her to a fortune of £170m. Sir Anthony Hopkins' misses out on the Welsh top 10, but his fortune of £75m sees him reach 13th place.